Edward Boon is a researcher and PhD candidate at the KTH Royal Institute of Technology in Stockholm, Sweden. His research focuses primarily on digital marketing, technology and consumer behavior, and his dissertation is about the deal of the day (‘Groupon’) business model. He is also an adjunct faculty member at Webster University in Geneva, Switzerland. 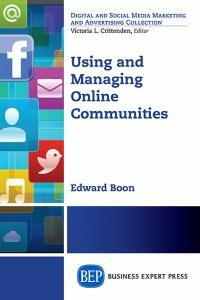 Edward Boon has extensive experience as a marketing practitioner (both traditional and online marketing), and MBA from Erasmus Rotterdam School of Management, and a background in consulting and project management.